Recently about 0.1 percent Gmail, users fell prey to a phishing attempt. The scammers wanted to use their trick to take control of the entire mail histories of their victims. This worm appeared as an email from a trusted contact and needed the victim to click on a Google Docs file. On click, it lead the user to an authentic Google security page that asked them permission to access the fake app that appeared as Google Docs. Although Google disabled the worm within an hour, however, the 0.1% affected made it to about 1 million users! 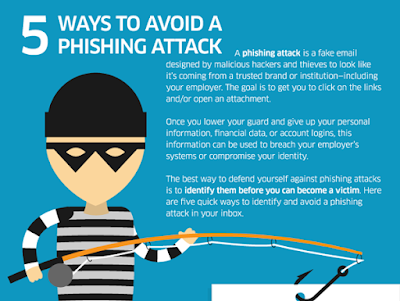 There are certain tips to identify and avoid phishing. Let us have a look at these tips that help prevent being scammed in the cyber world. Phishing is a trick by online scammers that tricks the users to give their personal information like their bank account number, password or credit card information. A user can become a victim through an unsolicited phone call from scammers posing as bank officials or website downloads. However, emails remain one of the most common forms of phishing schemes. Scammers send emails that appear authentic like the official mails or from trusted contacts. They have legitimate fonts or similar formats like the original sender. They will ask the victim to verify their information for customer records as their side has experienced a technical error. At times, the schemers may even lure the victim by offering a grand price for participation in a survey. Many smart Alecs trap victims by creating panic. They send an email saying your account has been hacked or an unauthorized or suspicious activity in their account has been noted. They are asked to immediately change their username and password by clicking on a link. This link leads to a fake site where the victims enter their details and the hackers use it to access their original account. Before you click any link or enter any competition, wait. You need to take a good look at the email and then react accordingly. The following tips will help you understand the authentic mails from phishing emails. Yes, even if you don’t want to it is time to put your language skills to test. Fraudsters usually do not use proper English. They will definitely have grammatical errors or spelling mistakes. Also, take a good look at the overall format of the email. You will definitely find there is a hint of unprofessionalism or the color shades of the emails will be slightly different from their authentic counterparts. Phishers often play on the anxious card and send out emails that have a threatening undertone. They will mention it is over due date you have not changed your credentials or the account is about to be attacked needs your urgent action. Look at the sender’s email address. It will definitely be different from your banks or trusted source’s email. It may look like gggggggggggbank@soandso.com. The email address at times is the biggest giveaway of phishers. You cannot differentiate between authentic links and fraud links in the email at times. It is wiser to type the link address in your browser address bar and if it is authentic, the same page will be visible on the original website. Not just your banking accounts, but also your social media accounts need regular checkups. Make sure you check all your accounts regularly or someone may be having a field day. Interconnect your accounts with your regular cell phone number. This will immediately inform you through a message if your accounts have been access by any unauthorized person. Check your bank statements carefully to ensure no fraudulent transaction has occurred in your account without your consent. Regular software updates helps patch up bugs or loopholes that allows hackers to access your personal accounts. Updating OS software and browsers will make sure your security remains strong. Install a good firewall to keep away prying eyes from your computer. There are hardware firewalls and software firewalls. Use both as they help reduce the chances of hackers from attacking your computer as well as online accounts. Banks or other official accounts never send you emails asking for your personal information, usernames, passwords, credit card numbers, expiry dates or the CVV printed at the back of your card. Never give out any personal information to any email or phone call. Before you do, make sure you call the official customer care of the sender in question and ask if they actually need your details. Do not fall for any form of scam without confirming with your bank. Pop-ups often appear like the legitimate part of an official website. However, they are often a lame attempt to phishing. Just block pop-ups or deal with them on case-to-case bases. Even if the pop ups slip through all your attempted blocking tricks, then never click on the Cancel button. It will lead you to a phishing website. Instead, click on the tiny ‘x’ on the corner to cancel the pop up. Avoid using a free antivirus software. Purchase an antivirus software and install it on your computer. It is better to use a full version than a free version as it has more features that protects you from hackers, malicious worms, phishing attacks, etc. The antivirus will scan every file and link sent to you through the Internet and prevents damage to your system and online accounts. 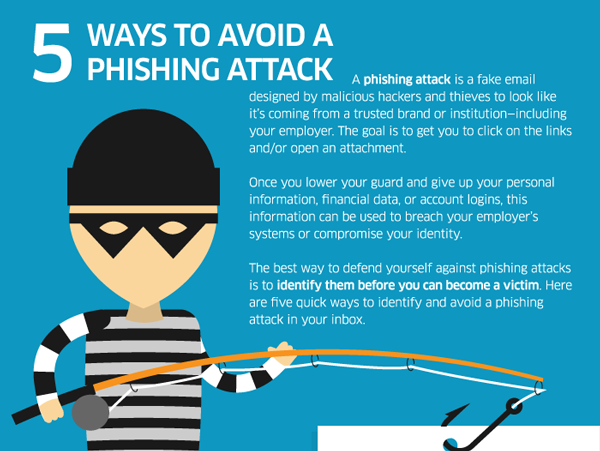 These are some of the tips to identify and avoid phishing scams. Keep your eyes open and trust your instincts to avoid falling prey to phishing attacks.